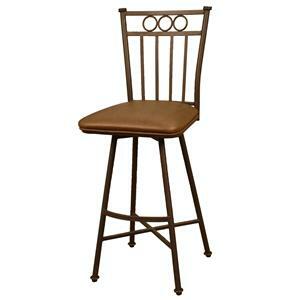 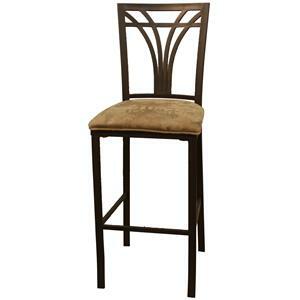 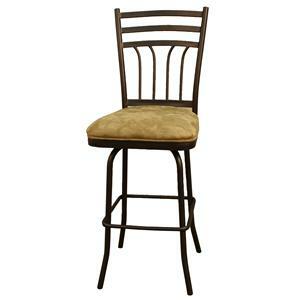 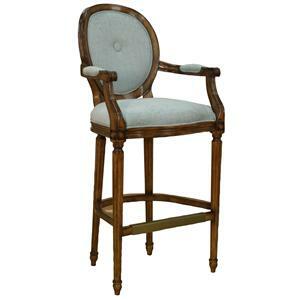 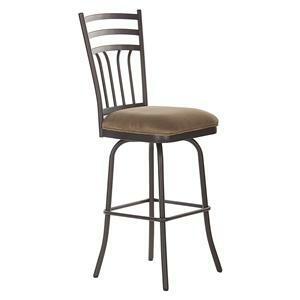 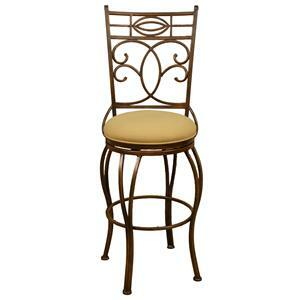 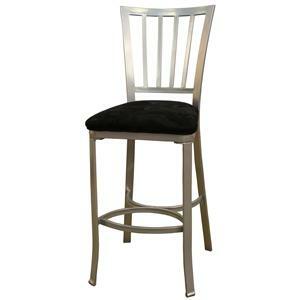 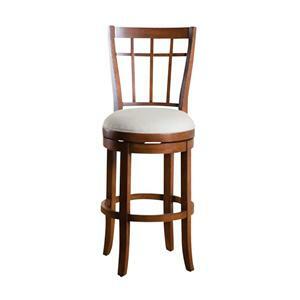 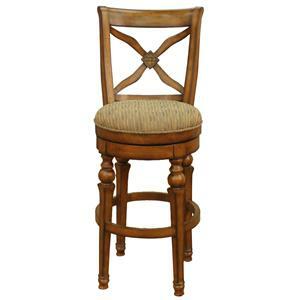 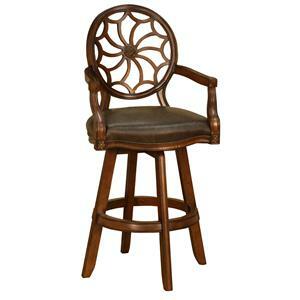 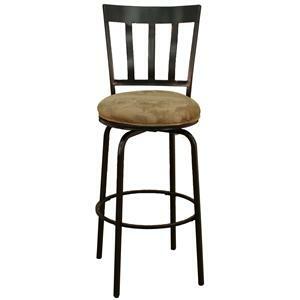 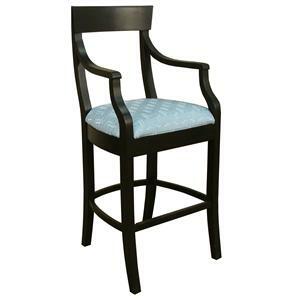 Furnish your lounge, bar, or game area with the Spectator chair to impress friends, family, and guests. 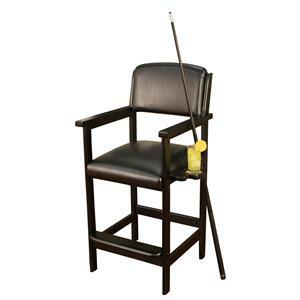 Padded seat cushion and backrest are covered in a leather-like upholstery for sophisticated appeal with superior comfort. 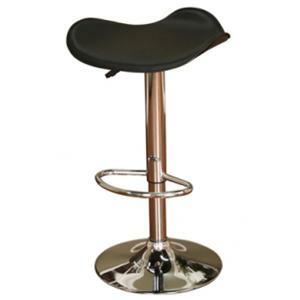 A beverage holder mounted at seat level provides an easy, convenient place for your drink. 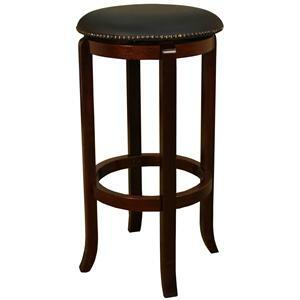 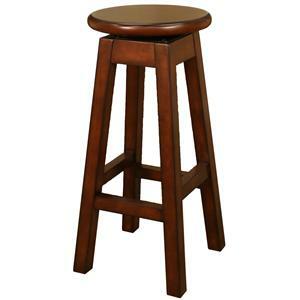 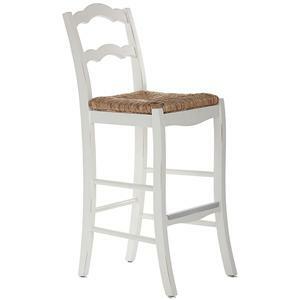 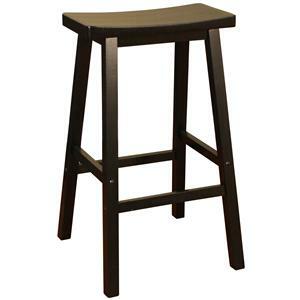 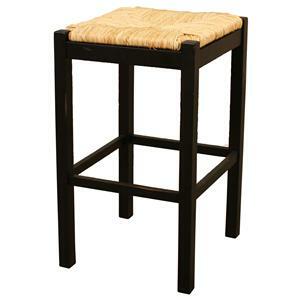 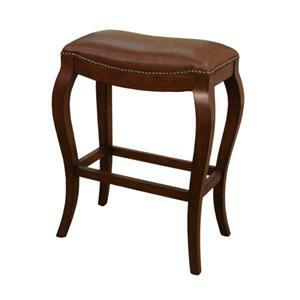 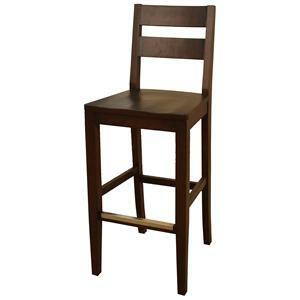 Produced from sturdy maple wood, this piece ensures high quality construction with a footrest for added support. 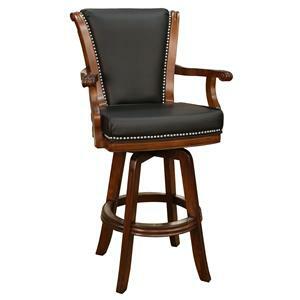 Available in a Suede or Black stain, the Spectator bar chair is perfect for bringing your game room to the next level of luxury. 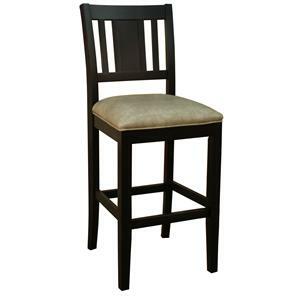 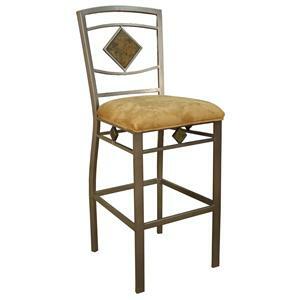 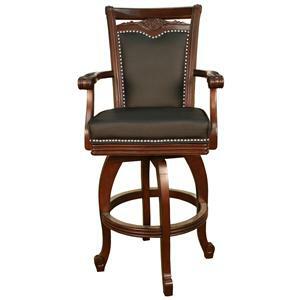 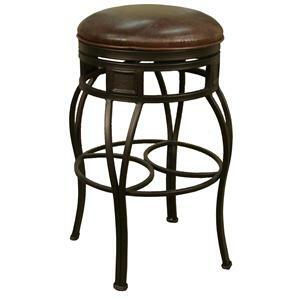 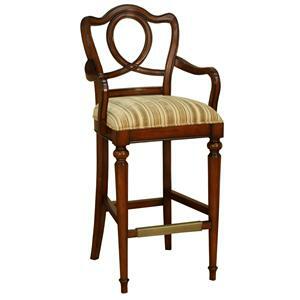 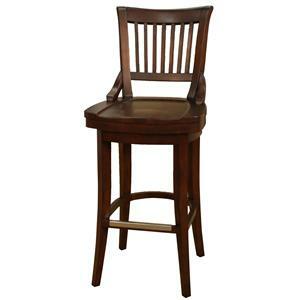 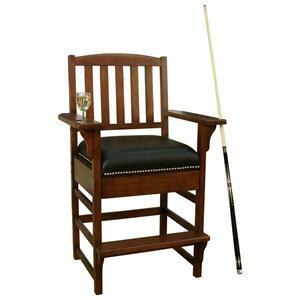 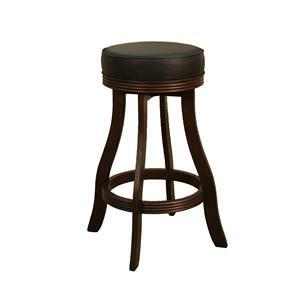 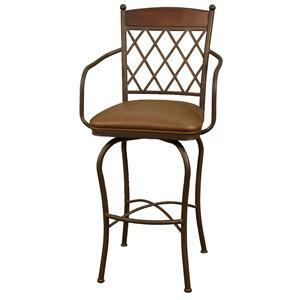 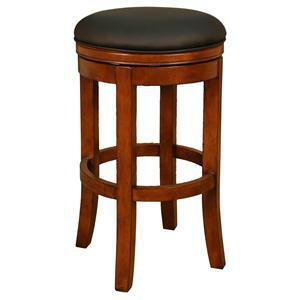 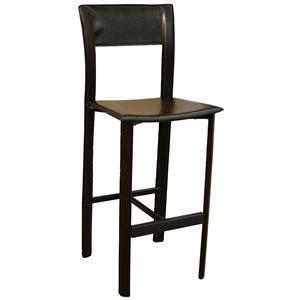 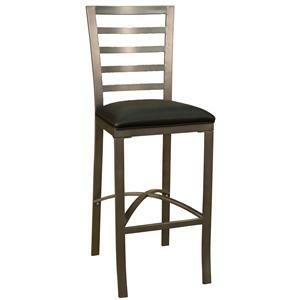 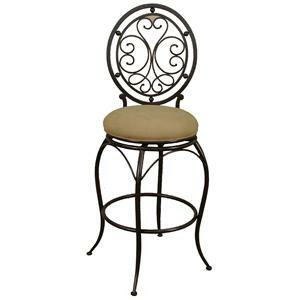 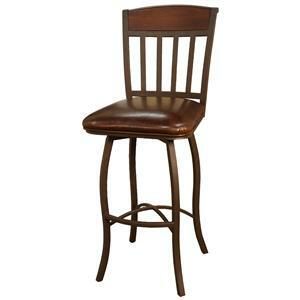 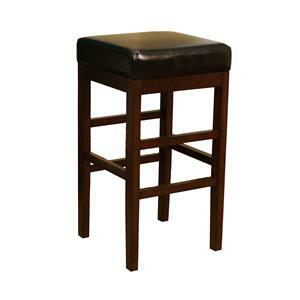 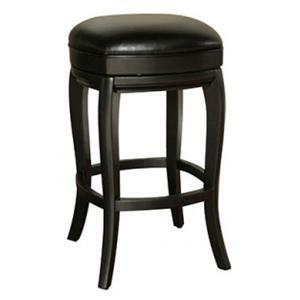 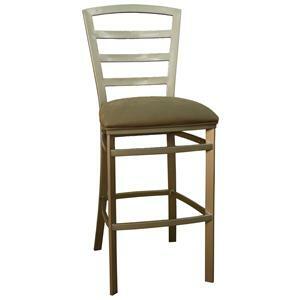 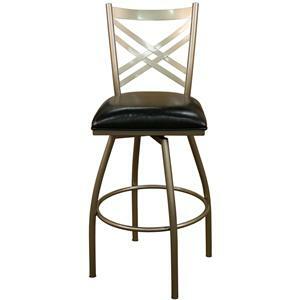 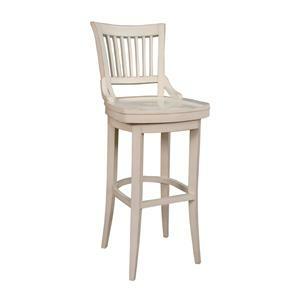 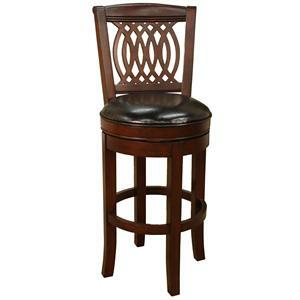 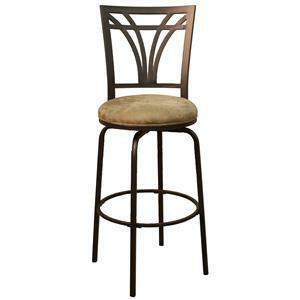 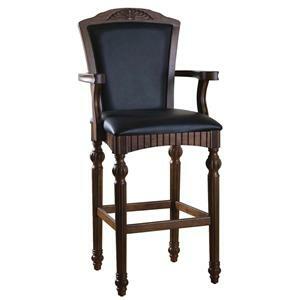 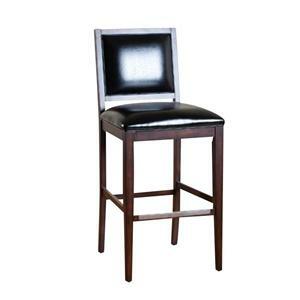 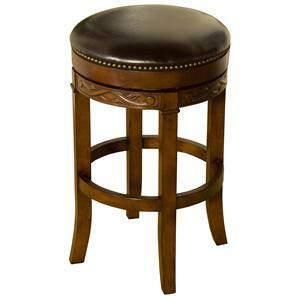 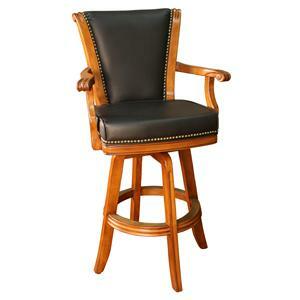 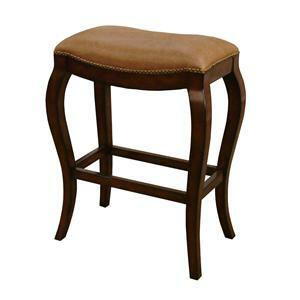 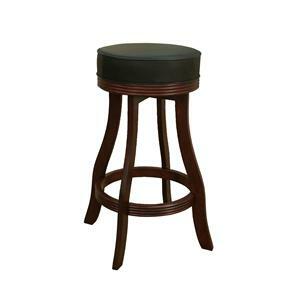 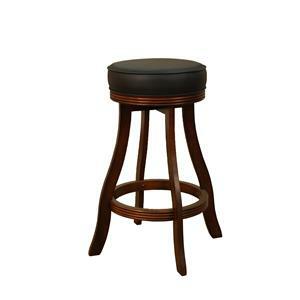 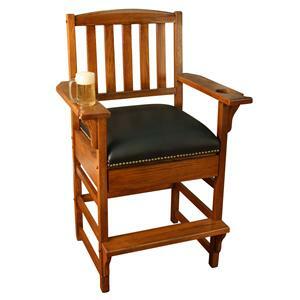 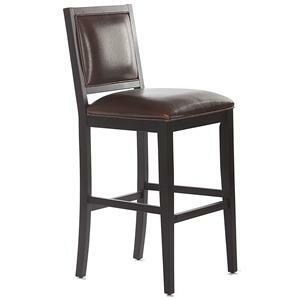 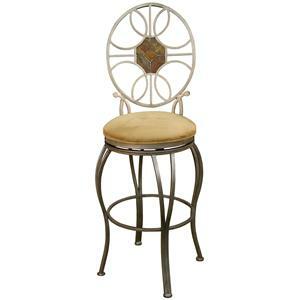 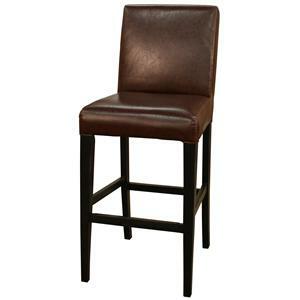 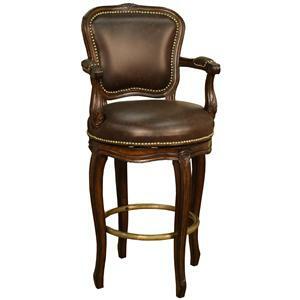 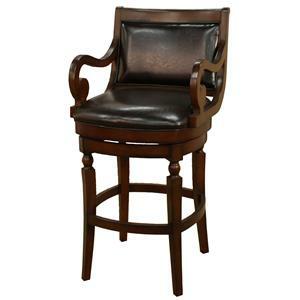 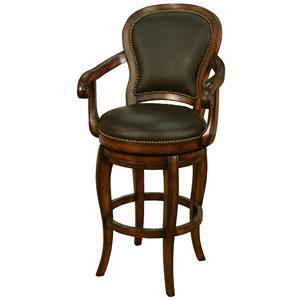 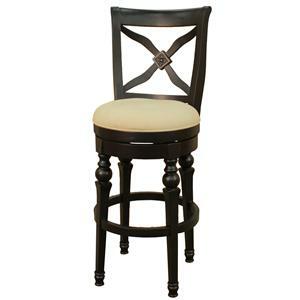 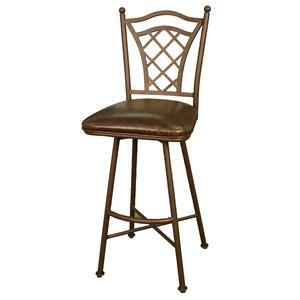 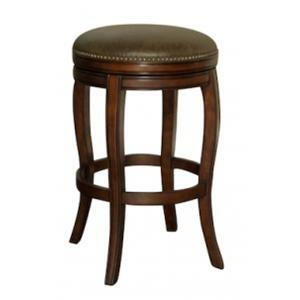 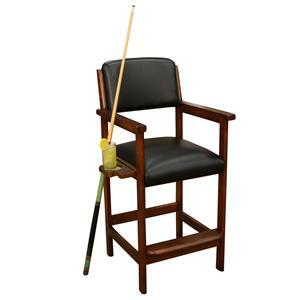 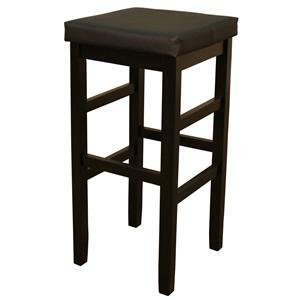 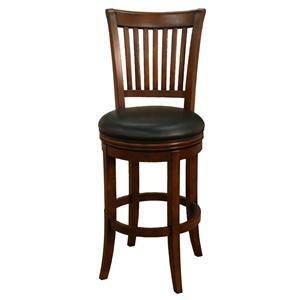 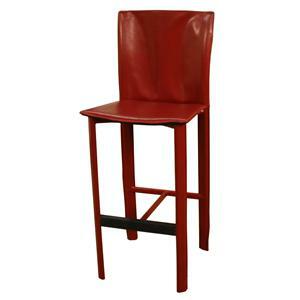 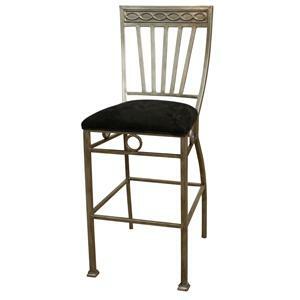 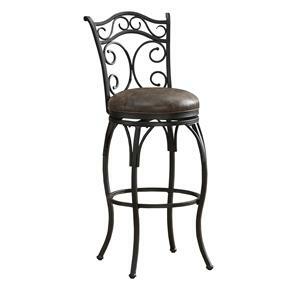 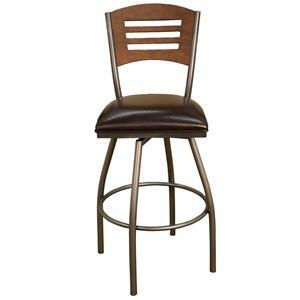 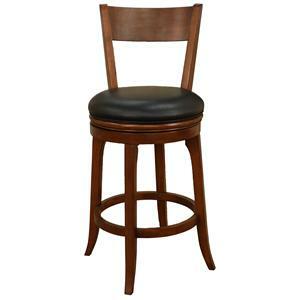 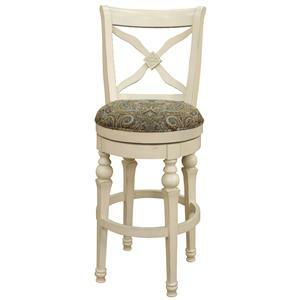 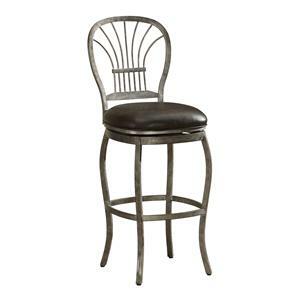 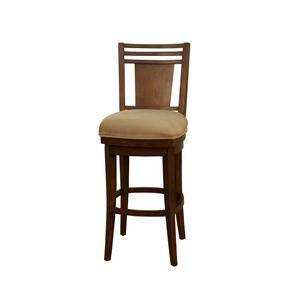 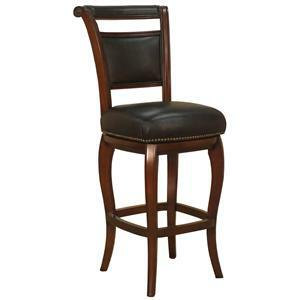 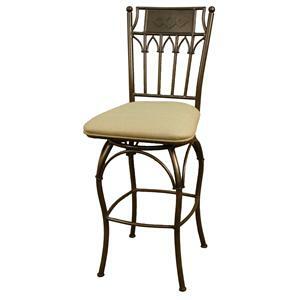 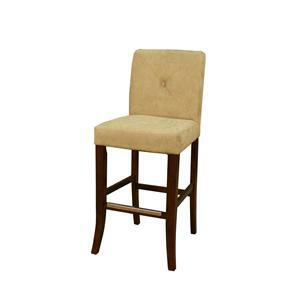 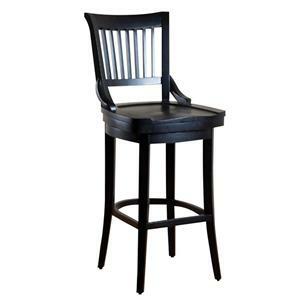 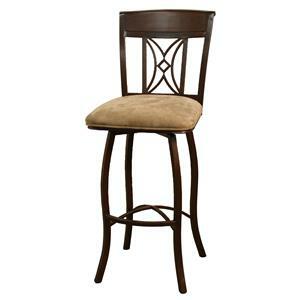 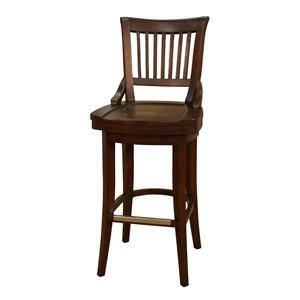 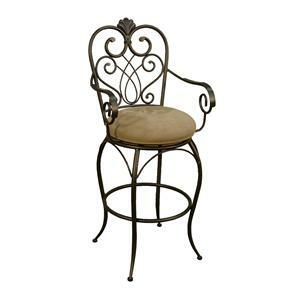 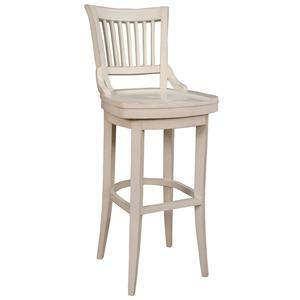 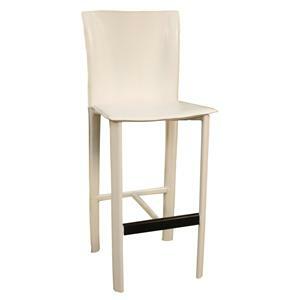 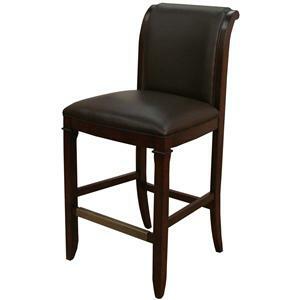 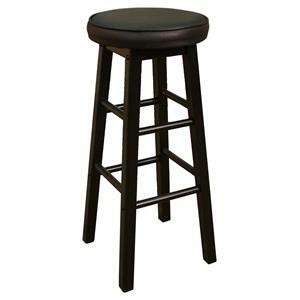 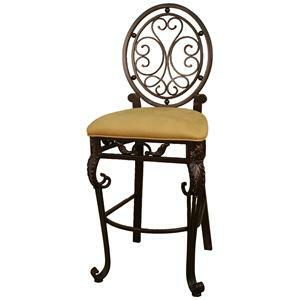 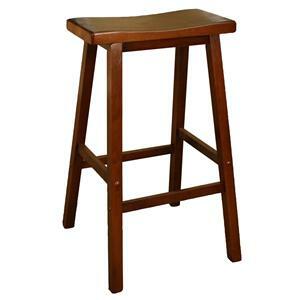 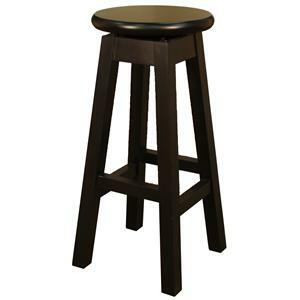 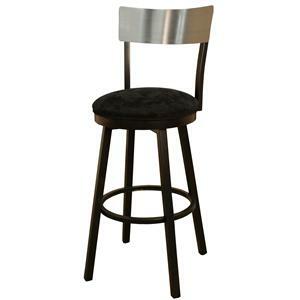 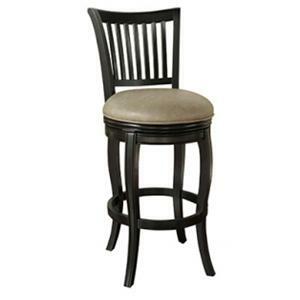 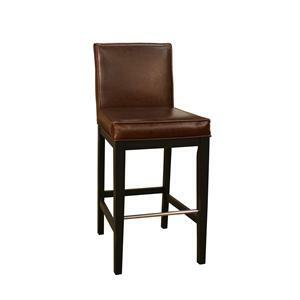 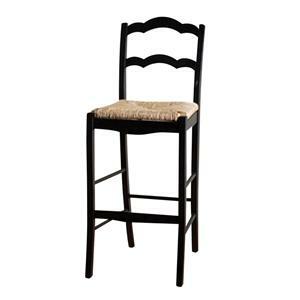 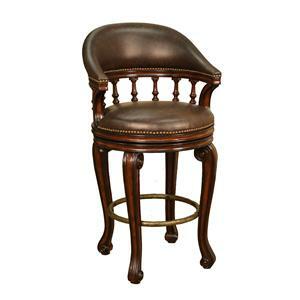 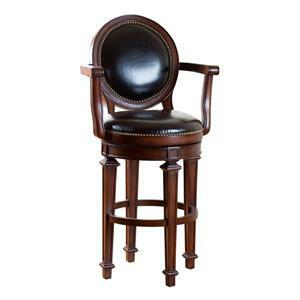 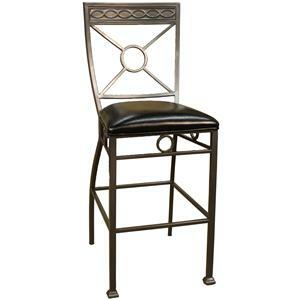 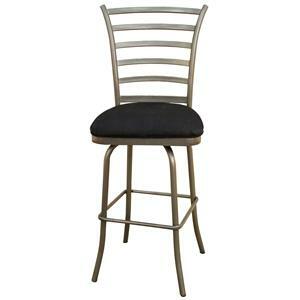 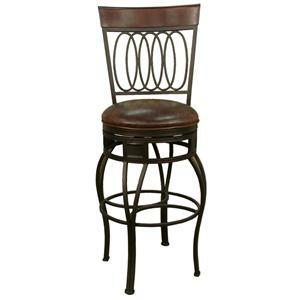 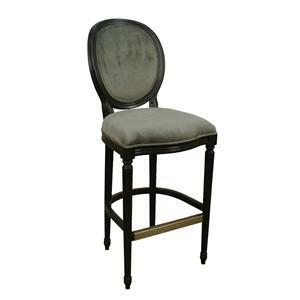 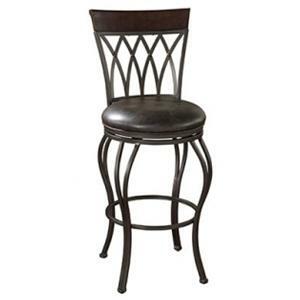 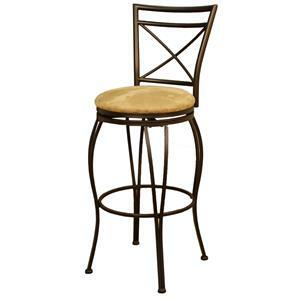 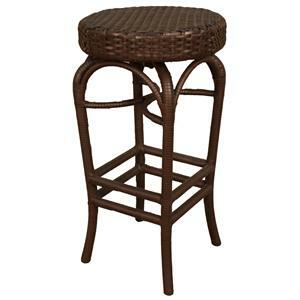 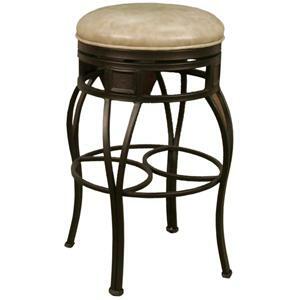 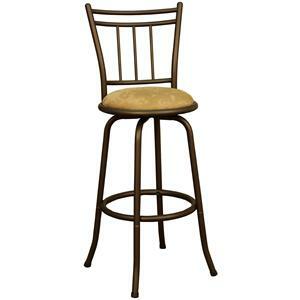 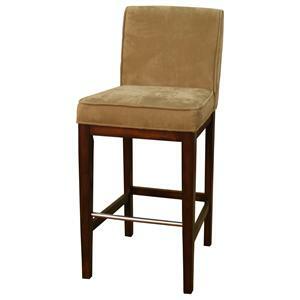 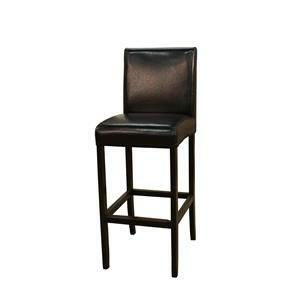 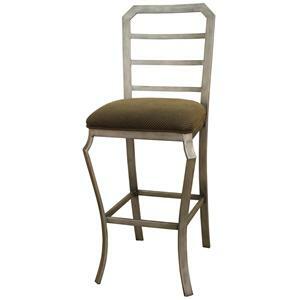 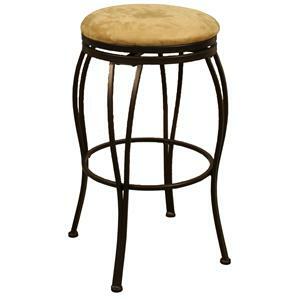 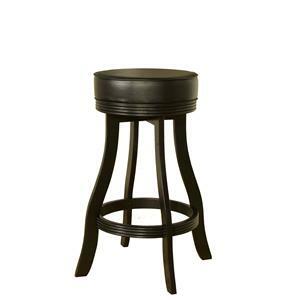 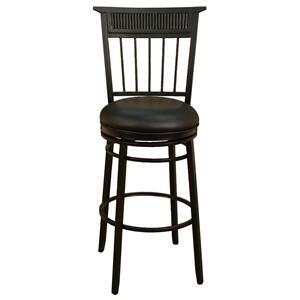 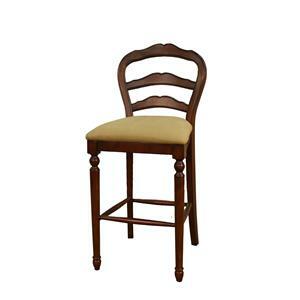 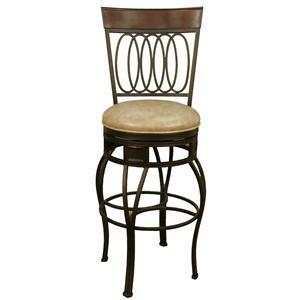 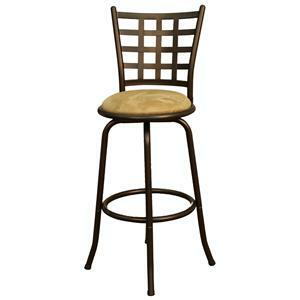 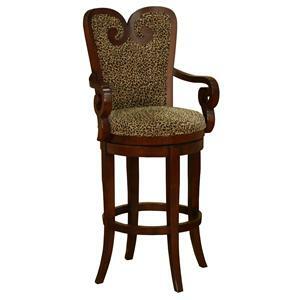 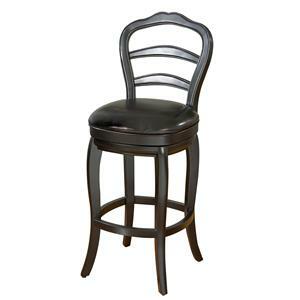 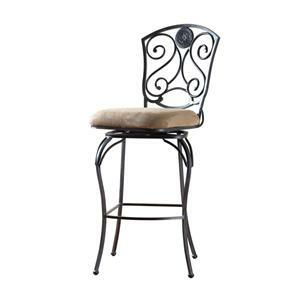 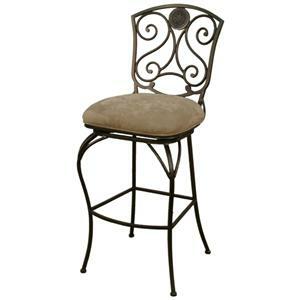 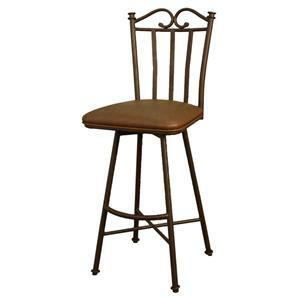 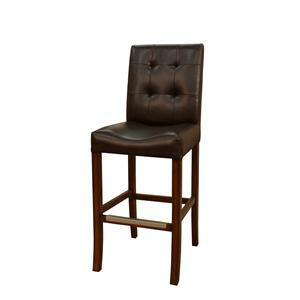 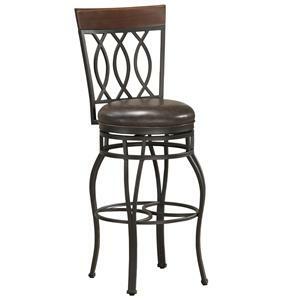 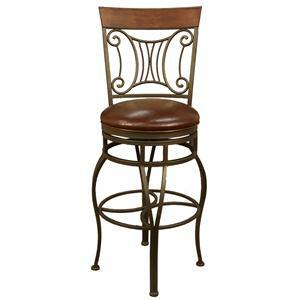 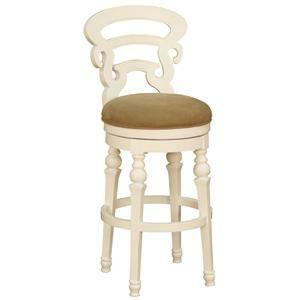 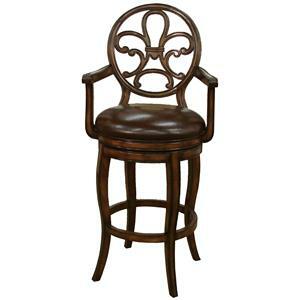 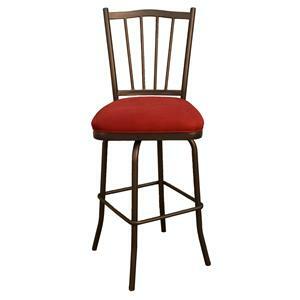 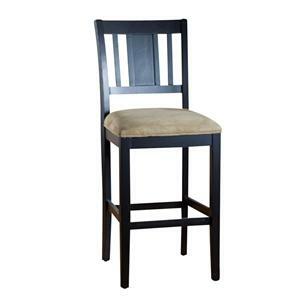 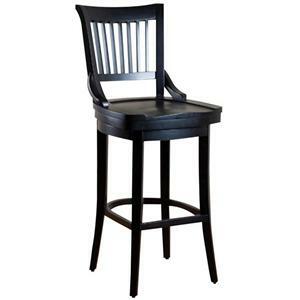 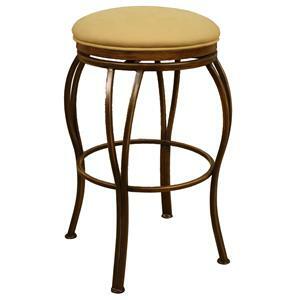 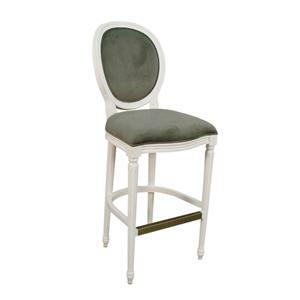 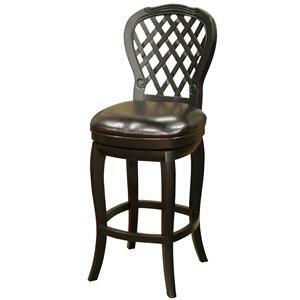 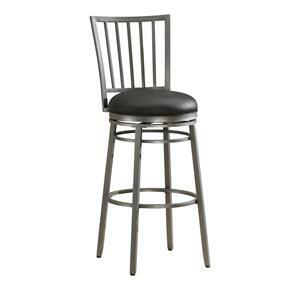 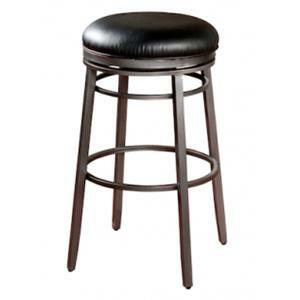 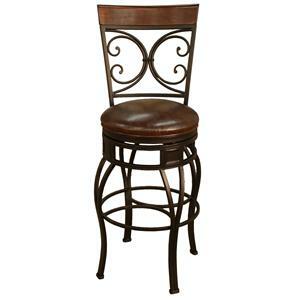 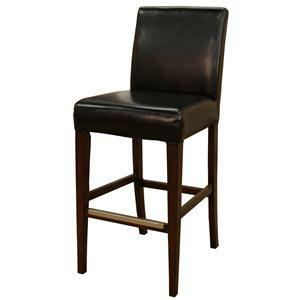 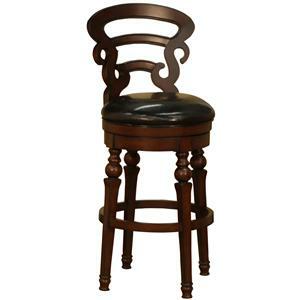 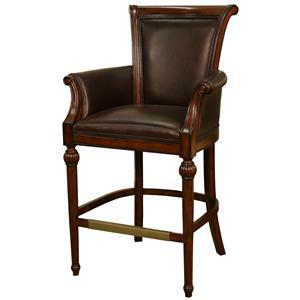 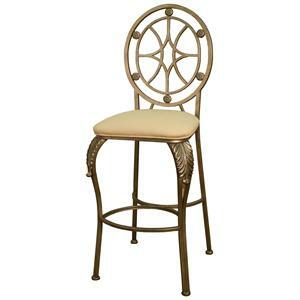 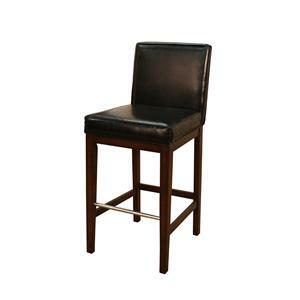 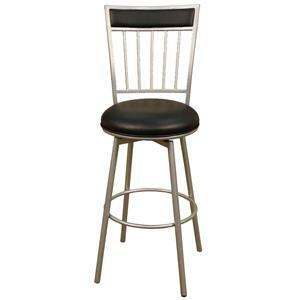 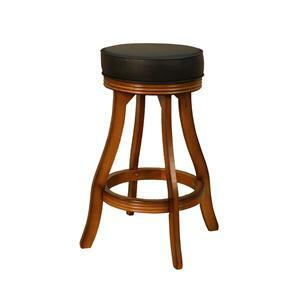 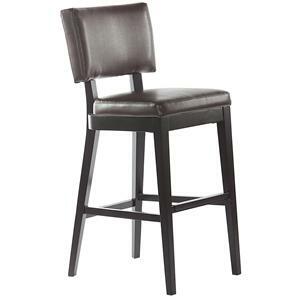 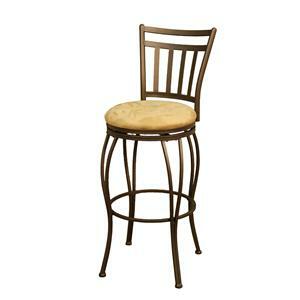 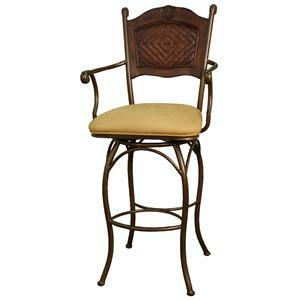 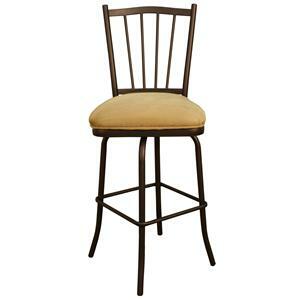 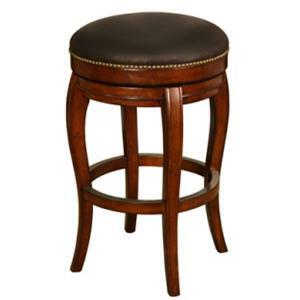 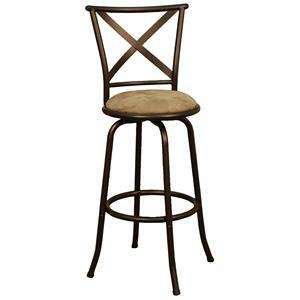 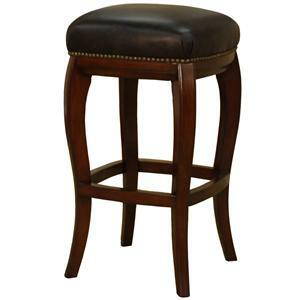 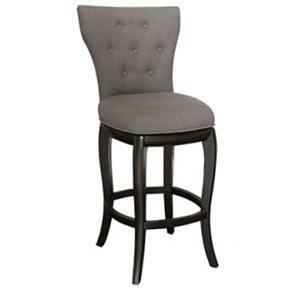 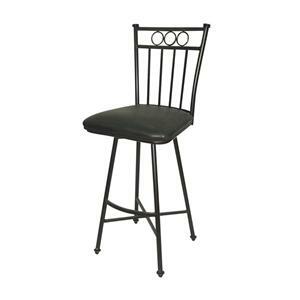 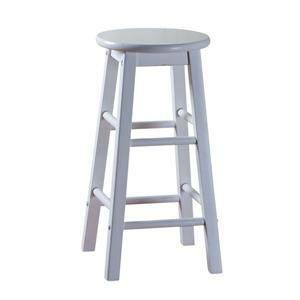 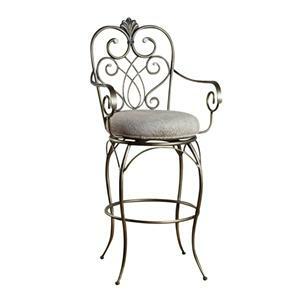 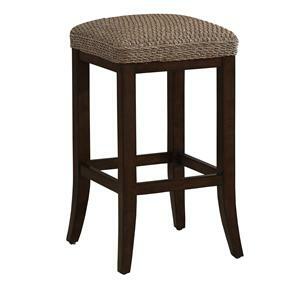 The Bar Stools 46" Spectator Bar Chair by American Heritage Billiards is available in the area from FMG - Local Home Furnishing.